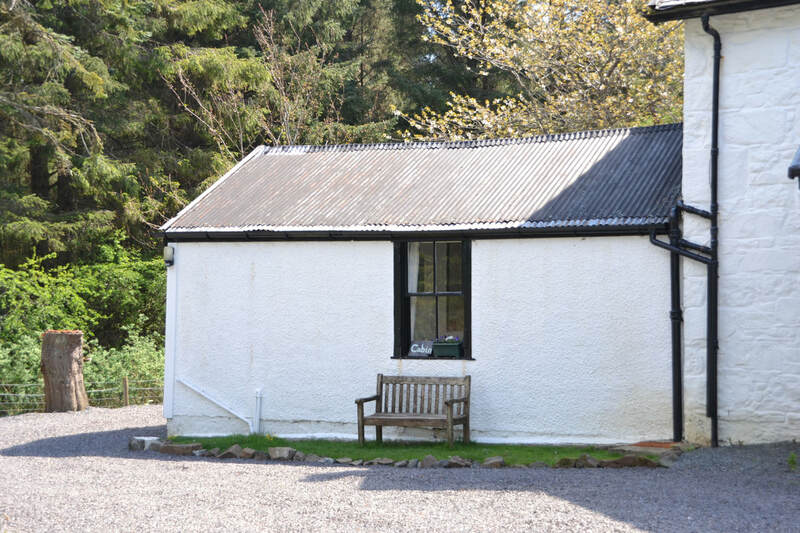 The White Cabin was originally built in the 50s to house the owners collection of mechanical toys which the children from Dervaig were invited over to play with and is full of charm. 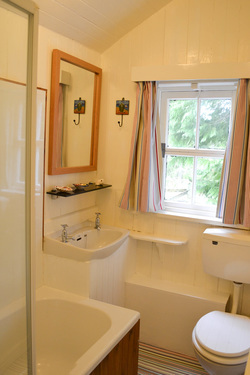 Open plan sitting room/bedroom, bathroom with over bath shower, full central heating fuelled by our wood chip boiler and a fully equipped fitted kitchen. 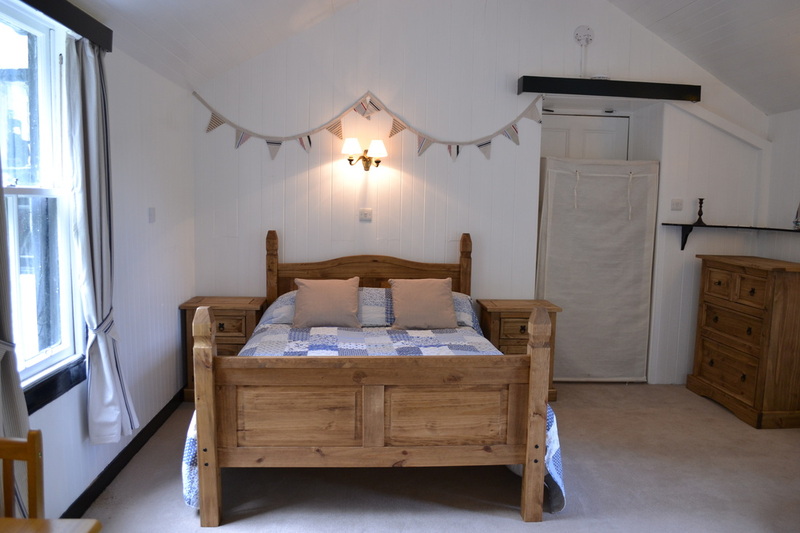 The interior has a New England style with a patchwork quilt, soft furnishings with a maritime theme, and the original tongue and groove boarding all painted white. 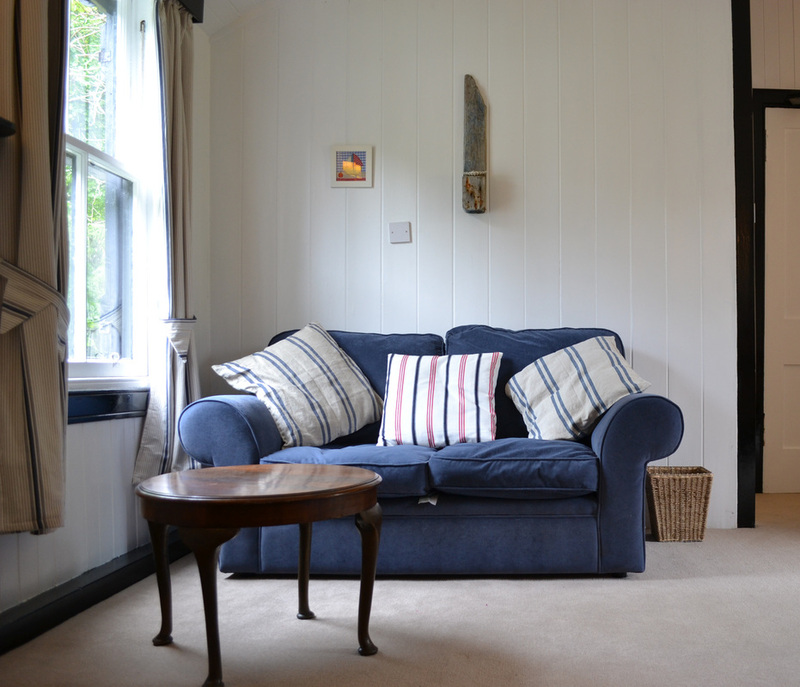 Cosy and ideal for a couple or single person. Sorry no dogs unless they sleep in the car. 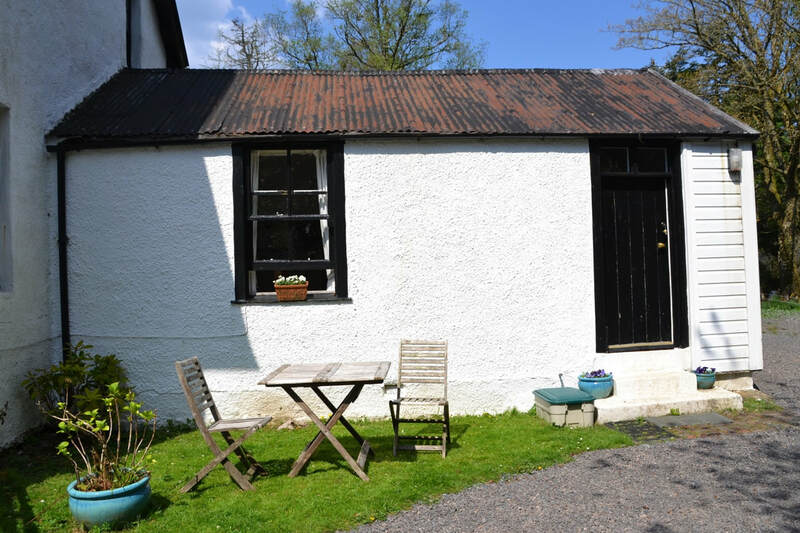 We do our utmost to ensure your privacy whilst here at Achnadrish, please note the Cabin looks onto the ponies stables which we use occasionally, and the back garden. 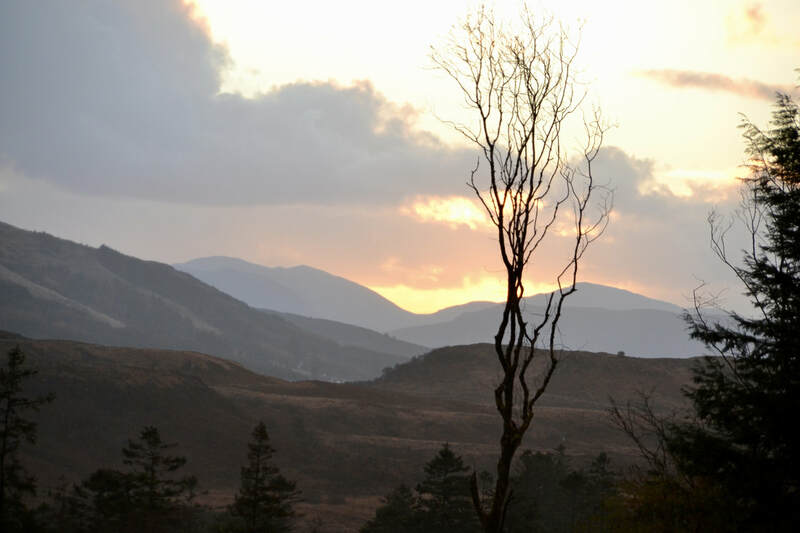 There is also a stunning view down the glen towards Ben Tallagh now that the forest has been felled. The Cabin has it's own parking area and private entrance. The Cabin is on the left hand side left of Achnadrish. Walking, beaches, fishing, restaurants, exploring, wildlife, boat trips. Please note there is no washing machine but there is a very good laundry in Tobermory. Open plan bedroom with sitting area and a small dining table with a comfortable double bed from which you can watch the TV with Free view and DVD player. Linen and towels included. 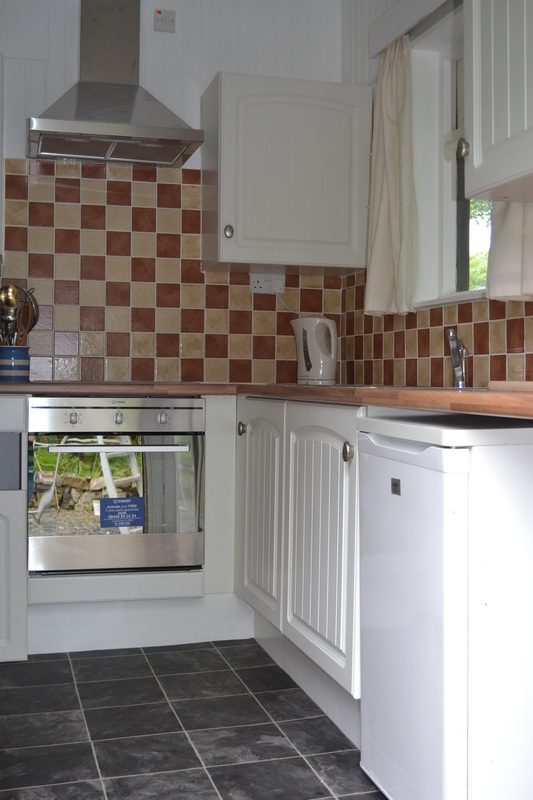 ​Fully fitted kitchen, with fridge freezer, oven and hob, small but perfectly formed. Plenty hot water at all times of day. Shower over the bath. The view from the Cabin entrance. The Cabin has its own private entrance and seating area. 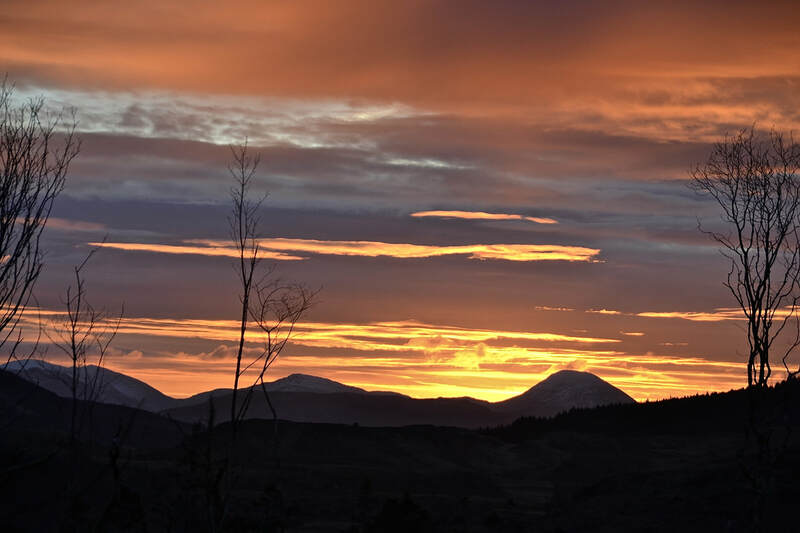 Check availability and book online or please hover over the White Cabin Tab.